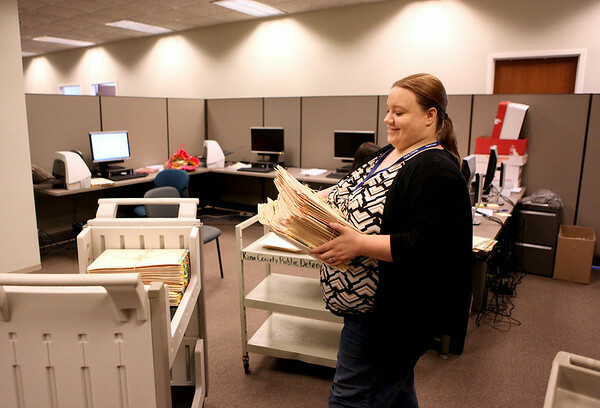 Brie Simkulet, an intern in the Kane County Public Defender office, loads files to be scanned. The office has 96,963 files that need to be eradicated. The paperwork amounts to 406,916 pounds and is stored in break rooms, file rooms, in corners, on bookshelves in various buildings.